With the release of the password to unlock the full 220,000 email treasure trove, the Climategate saga has entered a new phase. Joining us to discuss this latest development is Dr. Tim Ball of drtimball.com. 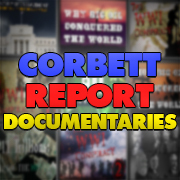 Tonight James introduces you to the new Corbett Report DVD Multi-Pack by dipping into the DVDs for some video and audio highlights. Containing hundreds of hours of interviews, videos, podcasts and articles, these DVDs make the perfect tool for your info arsenal. Subscribers can purchase the pack from the e-newsletter for 7500 Yen, and non-subscribers can purchase it for 10000 Yen. Joining us today from the UK is Dr. Jerome Ravetz, a scholar and researcher who has written and taught about the history and philosophy of science for decades. We discuss the question of uncertainty in science, and how that uncertainty is dealt with (or avoided) by the scientific community. We also discuss how new technologies are changing the face of scientific discourse and what this democratization means for the future of science. Today we are joined once again by Dr. Tim Ball for a discussion about climategate 2.0. We discuss the latest leak of emails from the academics behind the global warming scare, the implications of the leak, and the “Peak Water” scare that is likely to take the place of the debunked climate alarmist hoax. Marc Morano of ClimateDepot.com joins us to talk about the latest from the world of crimatology. We explore Climategate 2.0, the massive release of emails that once again demonstrates the brazenly anti-scientific actions of the scientists at the heart of the IPCC. We also discuss the latest “fun in the sun” climate conference, COP17 in Durban, which Morano will be attending next week. On tonight’s edition of “Friday Night Highlights” we dip into the archive to cover the background and the latest on the unfolding “Climategate 2.0” scandal, the latest release of thousands of emails showing that the “science” behind the glboal warming scare is far from being settled…although don’t expect to read about that in the mainstream media. 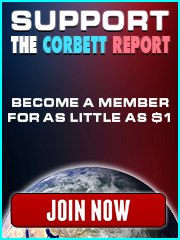 Tonight we listen to a Climategate 1.0 interview with Tim Ball and an excerpt from a recent Corbett Report interview with Australian science presenter Joanne Nova.